Selling Highlands NC homes requires negotiation more often than not. Maybe you are negotiating over money or perhaps over timing. Regardless there is undoubtedly a counter to the first offer. Furthermore the countering may go back and forth for a few rounds. Your Highlands NC REALTOR will be critical in helping you evaluate offers. When you receive an offer for your Highlands NC home for sale you will evaluate all of its points. This includes price for your home, the date for the closing, and contingencies like financing and inspection. Flaunting this offer will be easier when you understand your own priorities. Are you wanting to sell fast or capture the highest price? Do you care if you receive a cash offer or one requiring a loan? 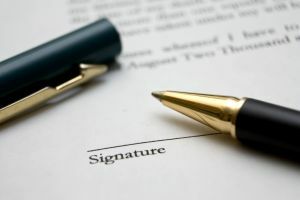 There are a variety of factors in every home purchase contract. Your Highlands REALTOR will have the experience to hep you understand where compromise might be needed. In addition your REALTOR will be able to convey the strong points of an offer as well as the weak points. Contact me, Lynn Kimball, today to learn more about selling Highlands NC real estate. I welcome the opportunity to update you on current market conditions while sharing a complimentary listing presentation at the same time. Let my knowledge and experience serve as your guide to selling Highlands NC homes. Click here to read “Your Guide to Negotiating an Offer” from House Logic.